At the peak of its popularity, Bitcoin's market capitalization reached $835 billion. This phenomenon generated significant interest in whether the technology underlying Bitcoin—known as blockchain technology or blockchain for short—can be used to build other interesting cryptocurrencies or distributed systems. In particular, many academic researchers, businesses, and governments repeatedly ask the following four questions related to blockchain technology: (1) what exactly is blockchain technology, (2) what capabilities does it provide, (3) how does it compare to other approaches (e.g., distributed databases), and (4) what are good applications for blockchain technology? To answer these questions, I will describe a research project where we used grounded theory to analyze a corpus of literature from industry, allowing us to extract the valuable technical insights from the hype and technical misunderstandings that permeate this body of literature. In addition to answering the four questions laid out above, I will also discuss several fleshed out applications for blockchain technology. Scott Ruoti is an assistant professor in the EECS department at the University of Tennessee. Ruoti researches computer security and privacy, human-computer interaction, and usable security and privacy. 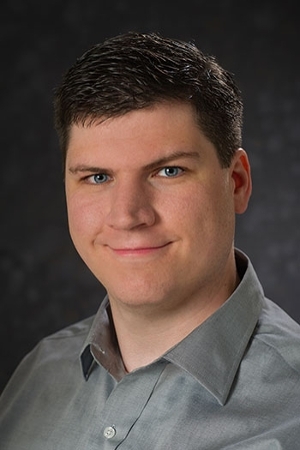 In particular, he is interested in researching how systems can be designed to ensure correct and secure operation when deployed to actual users. Prior to his appointment at the University of Tennessee, Ruoti was a researcher at MIT Lincoln Laboratory. While there, he led a range of efforts, including acting as the chief architect for the Department of Homeland Security’s Cyber.gov program that is tasked with creating a next-generation cybersecurity architecture for all non-DoD federal departments and agencies. He also led a research team exploring non-cryptocurrency usages for blockchain technology. He received his Ph.D. degree in Computer Science from Brigham Young University in 2016.